We've finally have convinced the very talented Anna of A2design to create her first design for us (and her first ever fabric design)!! We are sure this is going to be the start of something very exciting for us and Anna! For more of Anna and Alison's work see their Facebook page. The design is totally exclusive to us, making it really special. Running hare silhouettes, motifs and scrolls in white and accent colours are off-set against regal coloured backgrounds. 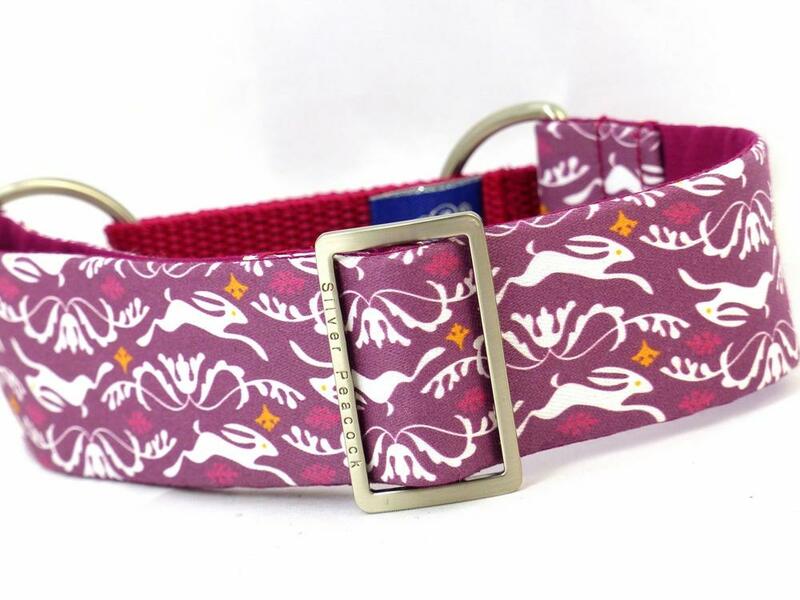 these collars have a lovely "tudor" feel with a modern twist so would be perfect for any regally inclined hound!! The collars are lined in complementary fabrics - burgundy for the burgundy background design; and royal for the blue design. 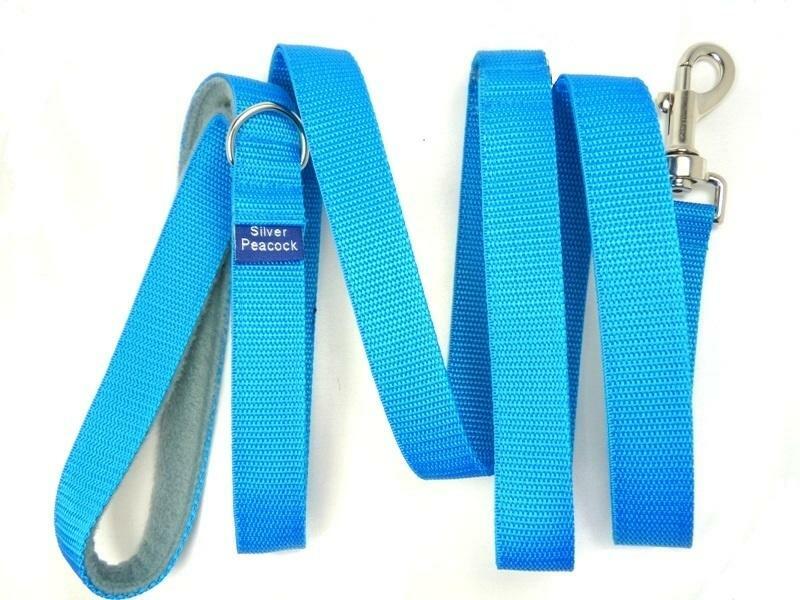 They are finished with our signature robust silver coloured hardware and a complementary burgundy or navy martingale section.